Apr 08, 2016 As you have not included your name, we are unable to look into your files or offer any assistance. If you wish to discuss your concerns, please contact out Customer Advocacy Group at 1-800-607-0419, or via email at cagsupport@greathealthworks.com. At first I was more than happy with the product. I had gone from barely walking more than a few feet without pain to putting away my cane. I even refused the second surgery on my back; and didn't need another injection in my spine (Which is a series of 3-injections). The swelling in my knee from a bad knee surgery was so much better as I could actually get my knee bent far enough to tie my own shoes, which I hadn't been able to do for over a year.My arthritis was finally bareable and I was even considering trying to go back to work.My face swelled up to the point my eyes swelled close and my face and neck was so welped I was afraid to go around my grandchildren for fear of scaring them.Then all of a sudden...I broke out in an unbelievable rash that itched so badly that I was scratching myself raw. I had gone to my doctor and gotten an injection plus a topical ointment and a perscription with a warning to get to the hospital if it got any worse or it felt that my throat was closing up. (I had originally thought this was from hair dye).I had forgotten about taking the Omega XL while at the doctors office...but suddenly remembered it once I mentally started to go over everything that I was doing differently. At that point I stopped taking the Omega XL and within days the rash was disapearing and the itching was gone.Not wanting to think it was the Omega XL, because it had helped me be mobile again, so I started taking it again. Within a week I was itching again and I was developing the rash all over again, this was not caused by Hair Dye as I have not used it again. 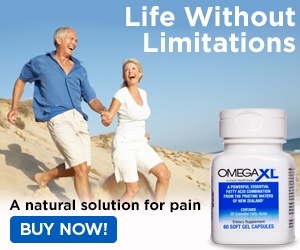 As of today, March 2nd, 2013, I have stopped taking the Omega XL and will not take it again. That being said I just recieved another shipment which is leaving me with 3 full bottles and a partial bottle of Omega XL.I have gone through Customer Services, sent an e-mail and plan to call them once their office opens again on Monday 03/04/2013 as I feel that I should be reimbursed, at a minimum, for this product (if not for my doctor's visit, medications, blood work and pain and suffering which is probably an additional $500.00 besides the cost of the Omega XL). Review #328097 is a subjective opinion of MaryAD. I've been taking it for a month and thought I was loosing my mind. 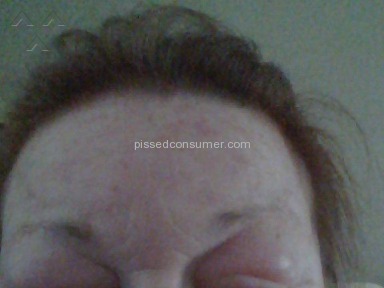 Itching and feeling like bugs are biting me. I was so paranoid I thought I had fleas. We'll since go ogling and finding this page, I'm not infested with fleas. It's the onega xl. I'm stopping it. Took 1 months worth and that's enough! was going gung ho for this product. have had multiple surgery repairs lately, shoulder, carpal tunnel n wrist tendon reconstruction. couple of omega xl users recommended this miracle potion saying I would for sure benefit from this miracle remedy. been on many pain scripts, cortisone injections...etc. want off all these bad pain meds as docs write what ever I want, n need more n more for relief! BUT...? nothing but horror comments if not satisfied with product n getting support for returns n refunds. seems like another scam as they have your hard earned cash n won/t live up to their product guarantees. typical ways of running off potential customer with their bulling tactics not to let you out of your contract. enough said. not going to get involved with this company to refuse to meet customer satisfaction!!!!!! bummed out as would like to give this a trial period for results. if product would benefit me I'd buy the store...but poor results and product support for refunds totally cease my purchase...! still lookn for that product to help with my pain issues..! I agree...why get involved n really discusted with customer service over not being satisfied with this wonder remedy! But then your body became allergic to it. It's not the company's fault and is absurd to think you deserve to have your med bills reembursed because of the reaction. I do think you deserve a refund for the supply you just received if you return it to the company. 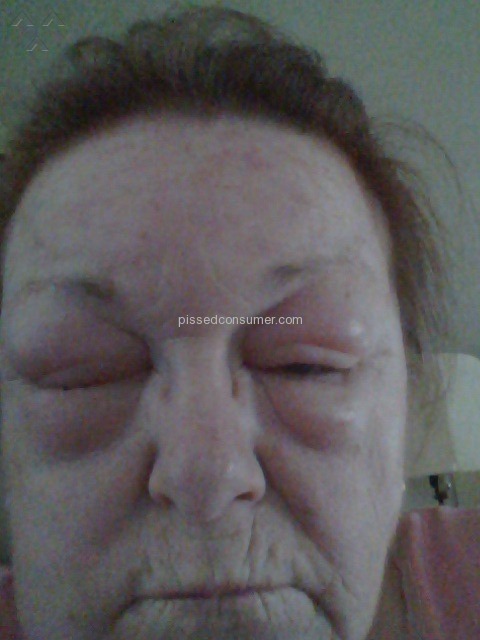 I am sorry to hear you had an allergic reaction, this happened to me with Diflucan. I can no longer take it after it working great for years. people can become allergic to different things. i know someone who at seafood their whole life and then for some reason one day just swelled up like your picture. so i would think thats what happened to you, because like you said you took it for a while and everything was fine. sorry to hear you finally found something to work and then this happened. i hope they give you a refund on your purchase, but to ask them to pay the dr? It's not their fault you developed an allergy to it. Just watched the infomercial. They CLAIM it is ALLERGY FREE because they remove the protein. Thank you to everyone who has posted. You just saved me a lot of time, aggravation and money! !